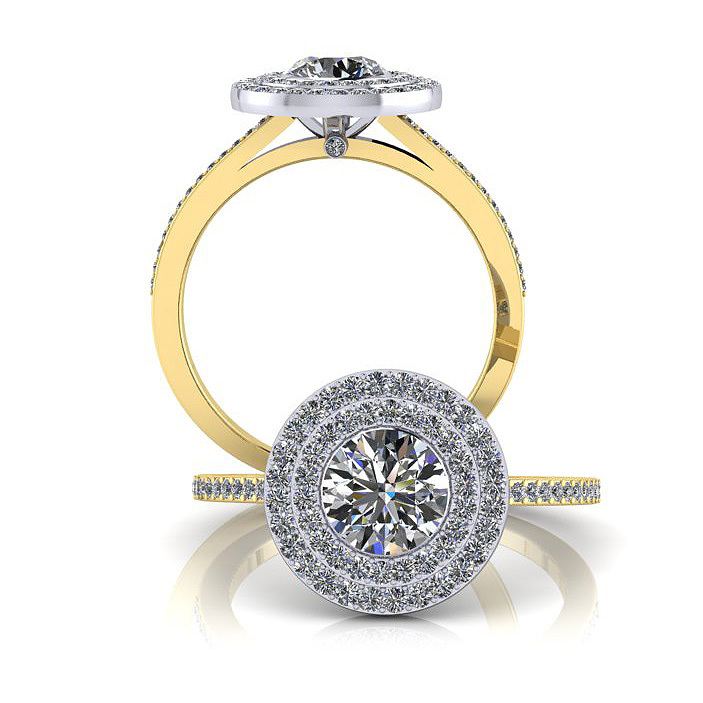 This design incorporates a double halo design, which could look stunning with additional sapphires or rubies in the smaller halo for a more unusual look. As with all of our pieces, the design featured on this page can be handmade to order according to your specifications. All of our engagement rings can be made to any centre gemstone size (design dependent) and also be altered to your preference in terms of type, colour and cut, whilst the precious metal is also your choice entirely.